The Order of Malta would like to notice the public before various organizations offering the membership of Malta Knight or Malta Dame or other similar ranks such as Knights and Dames of St. John. These false organizations have their own ceremonies, by which they are trying to imitate the Order of Malta ceremonies and other customs. Their membership usually requires high fees. Some of them may even have their own charity activities. The public should be aware of these false organizations, mainly because they have criminal background and usually are connected with financial frauds. Although they say otherwise, none of these organizations have anything to do with The Sovereign Military Hospitaller Order of Saint John of Jerusalem, of Rhodes, and of Malta also known as Sovereign Order of Malta or Order of Malta or Order of Knights of Malta. They are not allowed to use Order´s name, its symbols that are registered as trademarks in many countries, including the EU, the USA, the Russian Federation and some Latin American countries. We are aware of organizations as well as individuals that uses our name or insignias or other symbols of our Order for financial and/or personal purposes. We call you to be cautious when in contact with these organizations or individuals. Especially, be cautious, if any proposals presented. All these organizations, individuals and their directors or delegates have no connections with Order of Malta and/or any of its members. We, knowingly and willfully, do not hold any trade partnerships and/or any other similar relationship whatever their nature is. The Sovereign Order of Malta is more than 900 years old and is still dedicated to Catholic Faith and to service to the sick and the poor. The Orders delivers its help regardless the faith, race, nationality and ethnicity of recipients. Order of Malta does not provide financial or academic educational services of any kind. anyone, including the members of the Order. Order of Malta´s structure consists of various organizational levels that include Priories, Associations present in more than 60 countries. Order has more than 12,000 members and approximately 80,000 registered volunteers. frames The Alliance of the Orders of St. John. Or you can visit the section „Around the World“ on our international official website here. 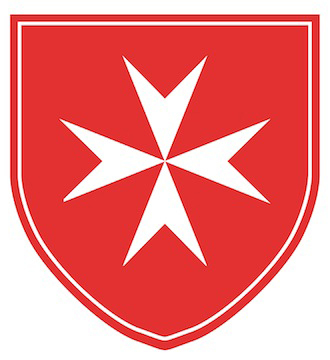 The Sovereign Military Hospitaller Order of St John of Jerusalem of Rhodes and of Malta wishes to point out the proliferation all over the world of bodies and associations which, using symbols and names not unlike those of the Order of Malta, are trying in every measure to represent themselves as legitimate and recognised orders of Saint John. that take advantage of the names and emblems of the Order of Malta by using them for financial ends.